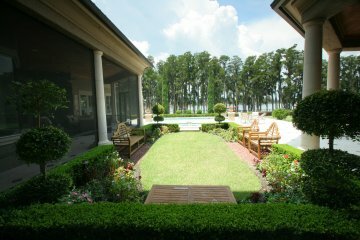 Lakefront - Custom Built Estate !! YOUR OFFER MAY BUY ! ASKING: $ 4,450,000! Everything you always wanted ! Theater! Game Room! Exercise Studio! 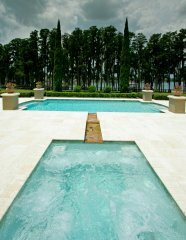 lakefront Heated Pool & Spa surrounded by grand marble entertainment Terrace! Large Boat House! 5 Bedrooms! 4 tiled Garages! You will never want to leave home ! 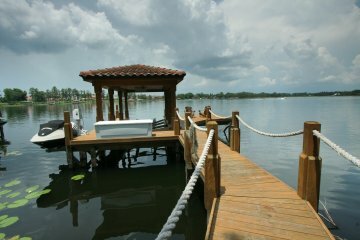 Escape into a world of elegance and comfort on the shores of the famed Lake Butler in a gated community. 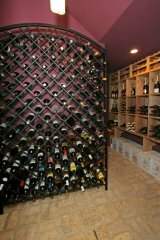 The finely crafted 8400+ square feet (heated and cooled) estate is proudly positioned on a large corner lot (approx. 1 ½ Acres). 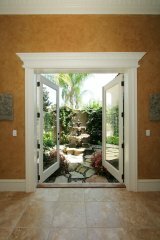 One is greeted by a grand, tiered fountain and a sweeping circular drive leading to a double door entry. The moment you enter you will experience the joy of this magnificently executed living environment. 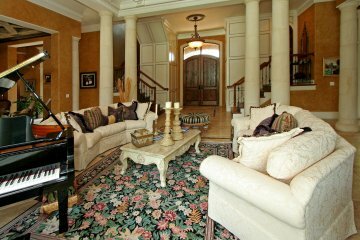 The open floor plan is perfectly executed with stately, stone columns which define the formal area. (No walls to block the magnificent view!) Lake vistas are seen from all living areas through large expanses of glass which span the rear of the residence. 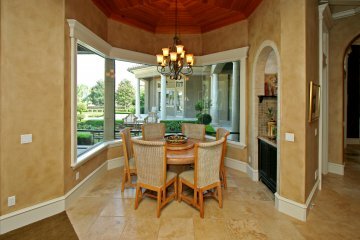 An extraordinary collection of moldings and accents on ceilings, doors and windows that frame vistas of the formal English gardens, the beautiful Cypress and the sparkling lake. The views are awesome! Formal rooms and hallways boast marble floors with inlays under soaring ceilings embellished by exquisite architectural detailing. 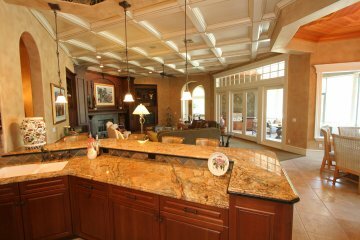 The gourmet kitchen features custom, granite-topped cabinets accented by hand-painted trompe - l’oeil and a long snack/serving bar which opens to a grand family room with fireplace. 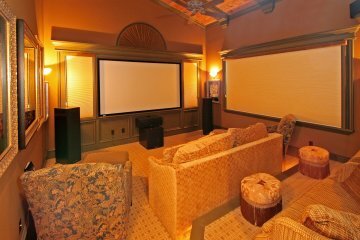 Seating for 10 persons is afforded in the Theater boasting state-of-the-art sound and projection system. A handsome Gentlemen’s study opens to an intimate courtyard with fountain. The lakefront master suite showcases a two-story wardrobe room, with chandelier, a private exercise studio, and a luxurious 16’ bath with both interior and private outdoor garden shower - yet another example of skillfully bringing nature indoors. 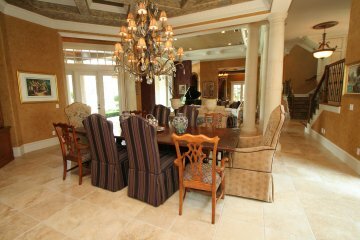 The 25’ game room with refrigerator and wet bar is illuminated with 20’ of continuous cathedral-style glass overlooking the lake. A second game room with lakefront balcony and three bedroom suites are located on the upper level.